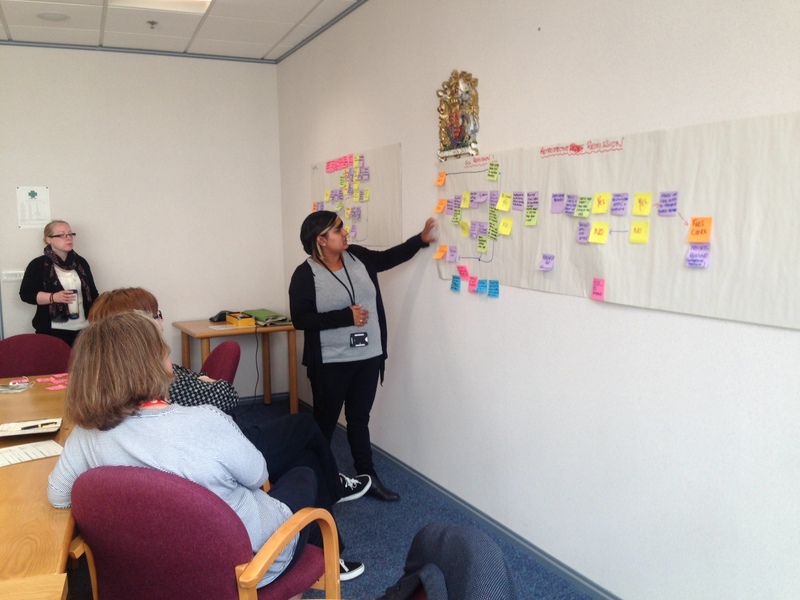 Maia Fallon at Her Majesty's Courts & Tribunals Service (HMCTS) is working closely with MOJ Digital to redesign the way people get help with court fees. When I worked in a county court, I was very aware that a number of our systems, processes and policies needed updating to help us work more efficiently. 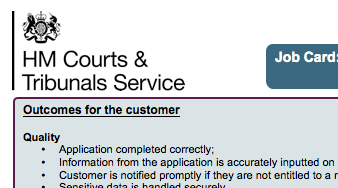 So I was really pleased when I found out I’d be helping improve the way that people get help with their court fees. I had no idea of how much I’d learn along the way. I first met a couple of people from MOJ Digital who were part of the working group. I knew they’d be the ones working on the “digital solution”, but I didn’t know what that would involve. Over the next few months I saw more of the digital team. They would come along to the project working group meetings and tell us about what they’d done on that week. They'd also take notes on what we thought needed to change. I didn’t understand the point in all the back-and-forth conversations. I felt frustrated and thought that if they carried on as they were we’d still be running the project when I retire! Then the new paper application form arrived and the new online tool for court and tribunal staff to process applications started to take shape. I began to see how iterative working – design, development, testing, and showcasing –delivered quick results. And how all of this was supported by regular contact with court staff and their users. By focusing on one small piece of the puzzle at a time I was working in an agile way – me, someone who didn't even know what agile was. As my work with MOJ Digital continued, I wanted to be more and more involved with their processes. Each week I attend their sprint reviews to see what they’ve been working on, and have the chance to provide my feedback. I also help them to understand the operational impacts of their work and talk through scenarios so that we're clear how the products will work in the real world. 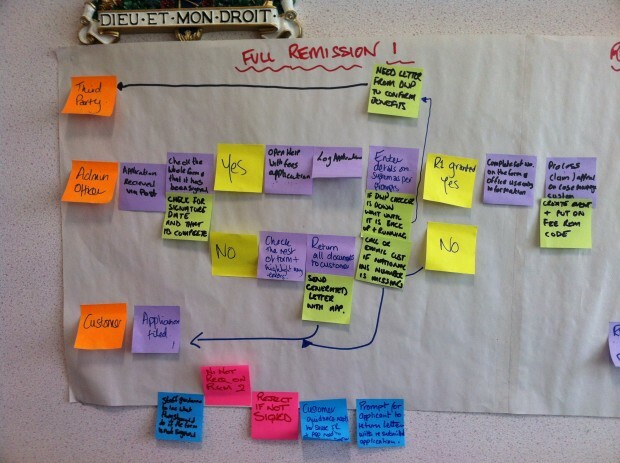 Recently we decided that we’d change the process of providing guidance to court staff. For years HMCTS have produced paper step-by-step guides (job cards) for staff to learn how to complete administrative processes. When we tried to create guides for the staff application, we discovered that the application was so simple and user-led, that there was no need for additional paper guidance. In fact, producing a guide only complicated things unnecessarily. Instead we started designing integrated guidance. This has involved removing lots of unnecessary policy detail and only including information that staff really need. Improved guidance means more efficient working while no printing means no printing costs or piles of job cards collecting dust on desks. We’re still iterating (yes – HMCTS can be agile too!) and making sure that staff see the benefit in what we’ve done. But the fact that I know the service will keep evolving and improving is one of the most valuable things I’ve learned. It’s something that I’ll keep with me even when this project has finished – that the work isn’t over until our users say it’s right. Have you been working with MOJ Digital or has your team adopted agile ways of working? If so, why not let us know what you've learned along the way.